Anyways , today wanted to make something easy with her , something she loves !! 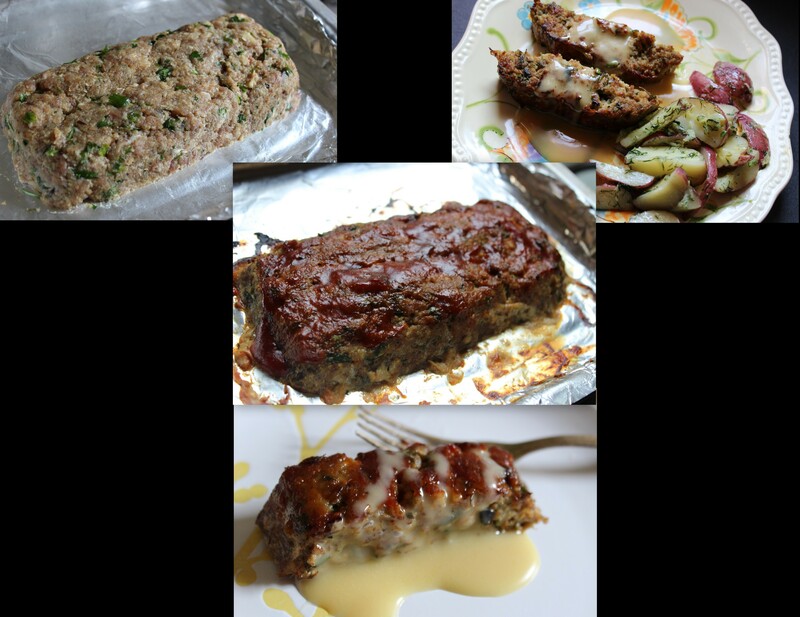 Meatloaf !! She simply loves it ! Well , who doesn’t !!!! I made a smaller one !! Good enough for 3 servings !!! 1. Combine all the ingredients mentioned except the ingredients mentioned in other ingredients . In another small bowl combine the bar b que sauce and ketcup. 2. Line a baling tray with aluminium foil and and place the mince in a shape of loaf . keep it in the refrigerator for at least 1 hour . 3. Preheat the oven to 350 FH . 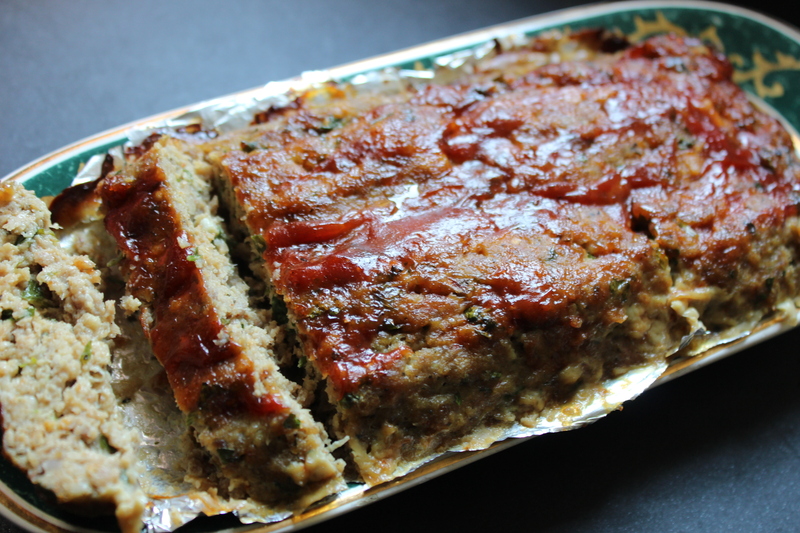 Bake the meat loaf for 30 minutes , then take it out and brush all the bar b que , ketchup mixture . Then broil again for another 10-15 minutes . Don’t cut the loaf immediately . Cut after 10-15 minutes later . 4. I love to pan fry the loaf pieces with little butter for the charred and crisp flavor . Take 2 tbl spoon of butter in a skillet and fry the pieces of loaf , each side for 1-2 minutes . Done !! You may omit that part , if you wish . To serve with , I prepared a honey mustard wasabi sauce .